I responded to an ad on Kijiji (the Canadian version of Craigslist) that advertised a “Pinball Machine” book. 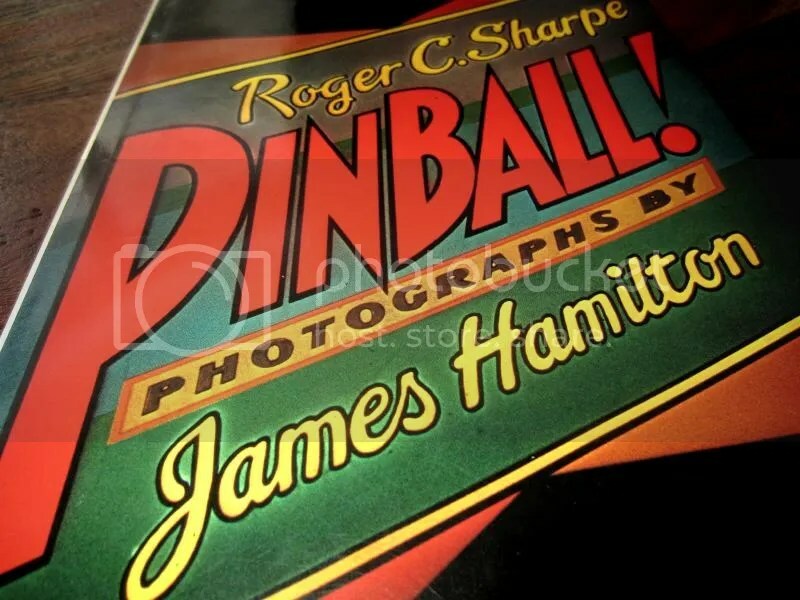 I clicked through the ad to find it was a copy of Roger Sharpe’s 1977 landmark coffee table book entitled “Pinball!” with photos by James Hamilton. The ad claimed the book came with the original dust jacket and that it was a first edition. 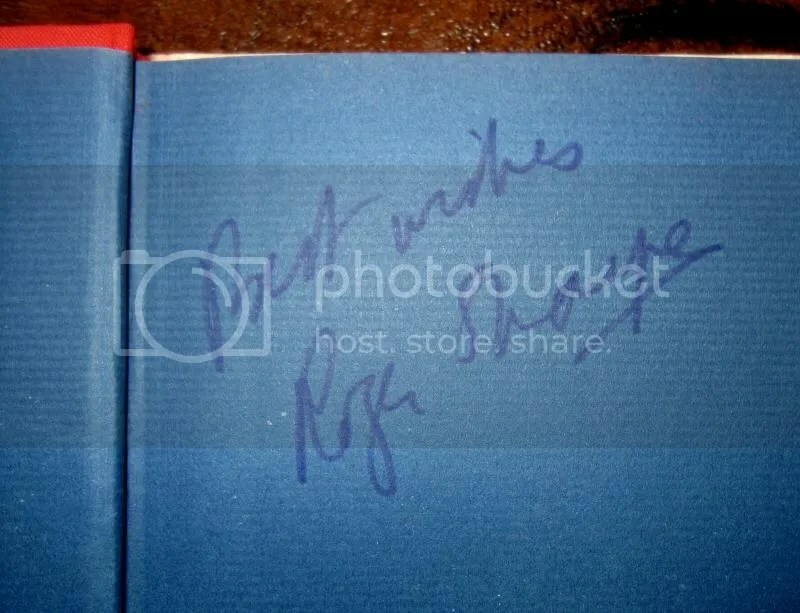 Further, the ad went on to state that the book was signed by the author. Included was a photo of the inside end paper–scrawled in felt-tip pen it read “Best Wishes, Roger Sharpe”. The seller was asking $40. I immediately sent over a message and by Tuesday afternoon I had arranged a weekend pickup. Mr. Sharpe’s book is difficult to find on the secondary market, a signed first edition in good condition with dust jacket intact even more so. As an example, Amazon lists about five of them from their third-party sellers, and the cheapest one, which is also a signed first edition, will run you $250USD+$3.99USD shipping (this was on Amazon.ca. Quick! Amazon.com has one for $45.00USD+$3.99 shipping!). I have always wanted the book, however, I was not willing to pay the astronomical prices the book commands. I wasn’t looking forward to the Saturday morning drive to the other side of Toronto to pick it up, but I would have been silly to balk at the chance of owning it for $40CAD. For someone like me, who admittedly is more comfortable talking about and working on games from the Solid State era, the contents of this book are foreign territory. Mr. Sharpe chronicles the emergence of pinball as a national pastime from its pre-war roots as modernized bagatelles, up to the colourful, noisy, non-licenced Electromechanical machines we recognize as a pinball machine. 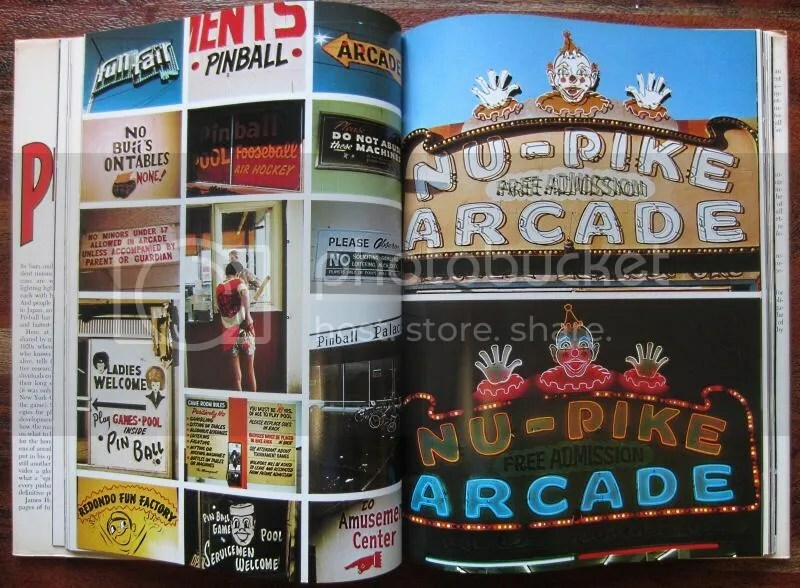 As stated in the introduction, the book was released in 1977, so the most recent games that are photographed are the Bally releases Captain Fantastic and Night Rider, however the text does briefly reference games that rode the crest of Solid State technology, like Evel Knievel and The Atarians. It is almost unbelievable that Sharpe chose this moment in time to release his book, as it bisects the EM and Solid State eras perfectly. Sharpe and Co. tie a bow around the manufacturing, playing, operating and legislating of pinball machines before the dawn of circuit boards and LCD displays. A large part of the book is dedicated to chronicling the history of the game, which, now, can be taken for granted, as we can piece together our own history using various sources on the web. 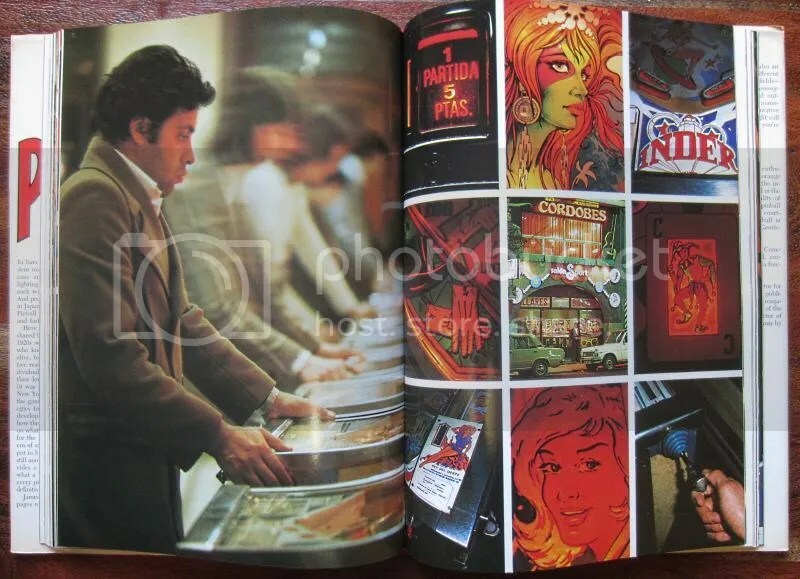 However, nothing of its kind would have been available in the 1970s and Mr. Sharpe’s documentation of pinball history and culture brought legitimacy to a pastime that had always been thought of as residing on the lowest rung of the cultural ladder, and thus, had its history discounted and ignored. Giants of the industry, Sam Stern, Harry Williams and David Gottlieb are given their due in hearty helpings. Mr. Sharpe gives little significance to his own efforts of helping break through the legislative barriers in New York City, which can now be viewed as an incredible pinball landmark. It’s a good thing that everyone who has since interviewed Sharpe has made him chronicle, in detail, the experience, thus we have an accurate play by play of what happened that day in April 1976. The book only provides only one photo of Mayor LaGuardia’s “public busting” of pinballs in 1941, which seems to be too few for such an important event. 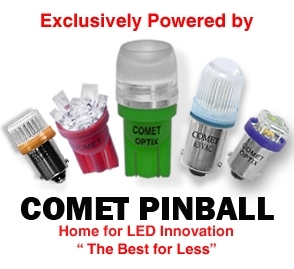 Ah, to live in a time where pinball seemed to exist everywhere. Currently, the shopping mall arcade is all but dead, and you’d be lucky to see a pinball machine worth dropping quarters into at a family amusement center anymore. One can argue that pinball has come full circle, and has reclaimed its original home in the “shabby tavern”, which is now affectionately dubbed the “dive bar”. It’s as if Mr. Sharp was warning buyers about deceptive sellers decades before Craigslist even existed, and concludes by suggesting the buyer select a “deep” game long before the term “deep” became an overused buzzword in this community. The book, as a whole, has worth in both its word and its photographs. It is a snapshot of a snapshot of history: we can look back upon how Mr. Sharpe looked back upon pinball. 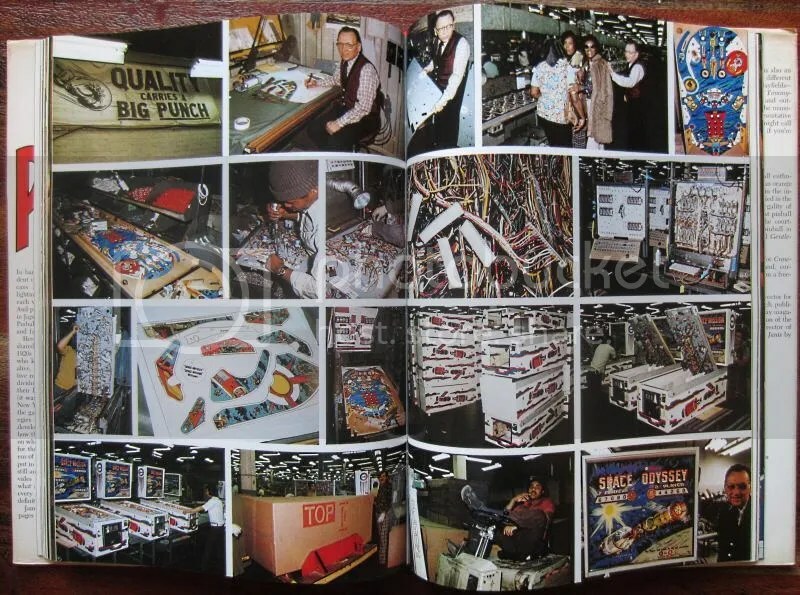 Sadly, Mr. Sharpe has not revisited the coffee table book format to bring the story of pinball into the Solid State era and beyond. The idea of a follow-up book is another popular question Sharpe has to field in nearly every interview. His answer is, most often, that it would be a immense undertaking to execute correctly, an undertaking that he cannot tackle at this time in his life. This is a man who has worked hard in the industry for countless years, and I’m sure he’d like nothing more than to rest, play pinball and enjoy the company of his grandchildren, rather than trek across the world compiling information for another book. In any case, it’s a different time now. If the pinball revival hits full stride and the machines become front and centre in popular culture once again, Mr. Sharpe (or perhaps his sons, Josh or Zack) may be able to capture the spirit of the original book. Otherwise, he’d be writing about, and photographing private basement arcades across North America, which is not the overall vibe Pinball! attempted to capture. 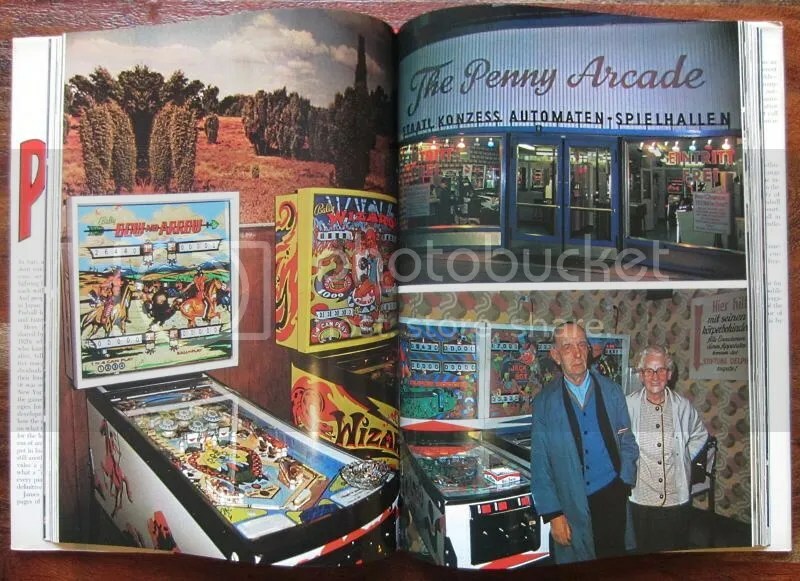 (I believe there is a market for a picture book about private pinball arcades though…a huge untapped market.) 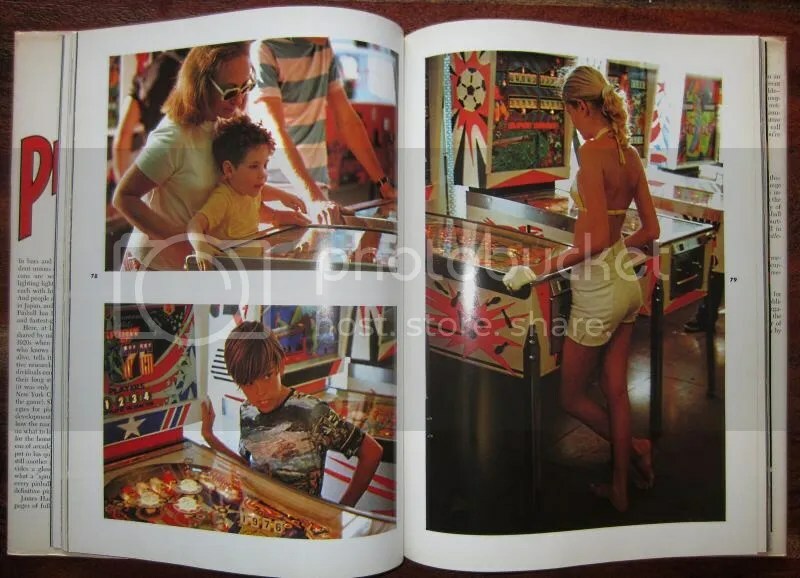 Until such a time when Mr. Sharpe decides to put pen to paper again, we will have to make due with the similarly titled book “Pinball” by Argentinean photographer Santiago Ciuffo. My copy is in the mail, and I’m excited to see how his book stacks up against Mr. Sharpe’s beautifully crafted love letter to the game we all know and enjoy. Categories: Feature | Tags: Craigslist, David Gottlieb, Dive Bar, Harry Williams, James Hamilton, Kijiji, Old Chicago, Pinball, Roger Sharpe, Sam Stern, Shabby Tavern | Permalink. Wow, what a beautiful book! I would never have assumed the photos in it were so luscious. I went and checked amazon.com and found a first ed hardcover copy for $30 USD, so maybe you were just checking amazon.ca for pricing? The US secondary market is much more robust. Either way, thank you for reminding me about this, can’t wait for my own copy to arrive! Yes, I was using Amazon.ca…I see Amazon.com currently has a signed edition for $45.00USD! What a steal! Place your order now! Saw a soft cover copy last night at BMV on Bloor. I got my copy around 30 years ago, and have rarely seen it for sale since. James Hamilton is a photographic hero of mine, though, except for this book, I’m more familiar with his black and white work (he was Village Voice photog in the 70’s and maybe into the early 80’s.